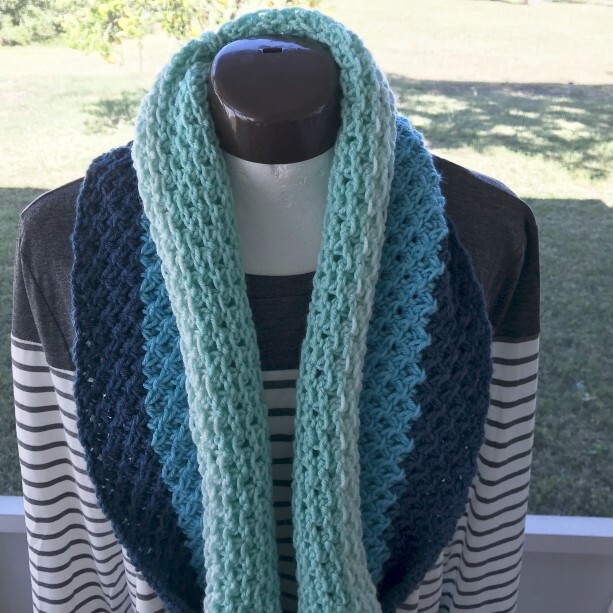 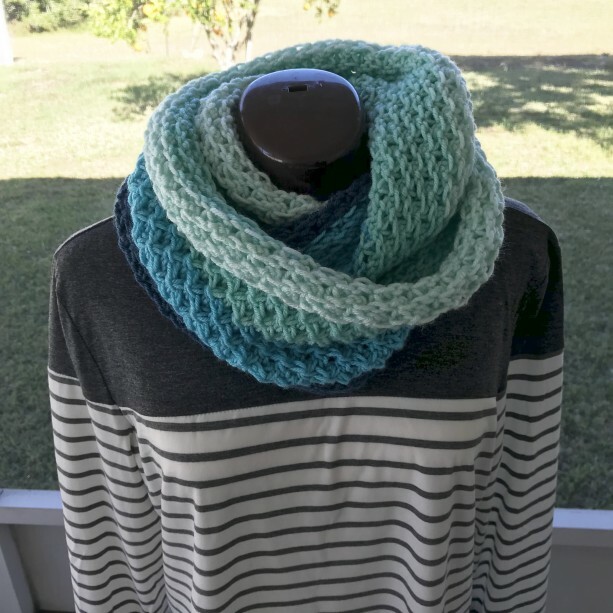 This beautiful cowl is hand knited and is made with easy to care for yarn that is machine washable and dryable. It is soft and makes a stylish addition to your wardrobe in the cold winter month. It measures about 20" in length when worn wrapped once around your neck and if you wear it tighter, you can wrap it twice.